Home > Uncategorized > How are Your Pizza Skills? How are Your Pizza Skills? Last weeks challenge was to make elearning specifically for the food and beverage industry. I had a few different ideas of what I would build, but as time went on, I saw my ideas quickly completed by others. There were examples of ice-cream making, sandwich and hamburger making, but the one thing I didn’t see a course on pizza making. Eureka! I had my idea. I wanted the learner to make a specific pizza by adding toppings to a plain pizza. I got images of the pizza and the toppings from the internet and used Photoshop to edit them. I then made it into a drag and drop interaction. I first tried changing the states of the toppings from the pieces that were dragged, to many pieces to cover an entire pizza. I found that states didn’t work well for this, so next I tried layers. There was a bit of playing around with it until I got it to work the way that I wanted. Once I had the interactions working, I built the rest of the course around it. 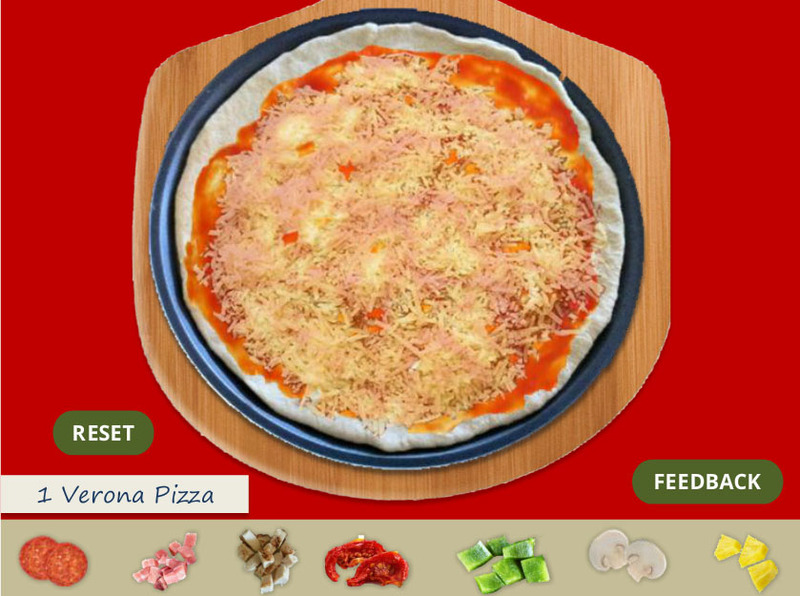 Here’s the final interaction, it not only looks delicious, it will help you to build a better pizza!